Indoor air pollution is contamination of the air in an indoor environment. Indoor air pollution is often the result of chemical, biological, or even physical contamination of indoor air, and is often spread throughout your home by dirty or old ductwork. Indoor air pollution is an air quality concern for both commercial and residential buildings. When indoor air becomes polluted with contaminants of any variety, it can carry serious health implications for any inhabitants or people who regularly access the space. Indoor air pollution can be caused by a range of materials, goods, chemicals and even appliances. The quality of air in the home can even be impacted by your general lifestyle habits. For example, second-hand cigarette smoke pollutes the air with chemical contaminants that have residual effects well after the cigarette is tapped out. Even if you don’t smoke, activities like lighting a fire or cooking with a stove can affect the composition of the air in your home. Let’s examine some of the implications of indoor air pollution and how best to maintain air quality using your HVAC system. Air pollution doesn’t just occur in busy industrial cities; it can take place inside the walls of your house. 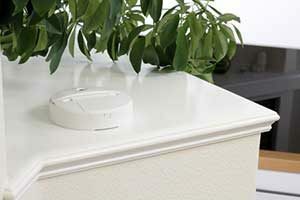 If left unaddressed, the dangers of poor air quality in the home can become a serious problem. There are a number of severe health effects such as cancer and even death that can be caused by pollutants in the air. The incorrect ventilation of old or faulty appliances can lead to the emission of carbon monoxide, a dangerous gaseous molecule. Carbon monoxide is known as the ‘silent killer’, as it is both invisible and odorless. Carbon monoxide poisoning is a particular concern in poorly ventilated homes or garages. Make sure all of your appliances are in good working condition in order to prevent this potentially fatal occurrence. Symptoms of carbon monoxide poisoning include lethargy, headaches, dizziness, nausea, and vomiting. If you live in a house with faulty appliances and have been experiencing any of these symptoms recently consult a physician immediately. If there are any cracks or imperfections in the foundation of your home, you and your family are vulnerable to radon contaminating your indoor environment. Radon is a radioactive compound that is found in soil. It can find its way into your home through the foundation. Like carbon monoxide, it is colorless and odorless. Radon is very dangerous and toxic to inhale. It can cause lung cancer when a person inhales the radioactive particles and they bind to the cells in the lungs. It should be noted that radon can also be found in some building materials, so if you live in an older home you should find out the specifics about the materials used when building it. On the other hand, if you’re building a new home or getting a renovation done, coordinate with your contractor in order to ensure that there is no risk of radon. Smoke of all kinds can detract from the purity of your indoor air and pollute it with substances you don’t want to be inhaling around the clock. If you’re a smoker, every time you light a cigarette you’re releasing formaldehyde and carbon monoxide that is difficult to fully filter into the air in your home. It clings to the walls, the windows, and the vents in your HVAC system. The impact of smoke on someone who doesn’t choose share the habit can be serious too. Lung cancer, pneumonia, and bronchitis are just some of the illnesses that can be caused by inhaling second-hand smoke. Therefore, if you’re a smoker and don’t have the desire to quit for your own health, maybe you will consider doing so for the health of your loved ones. 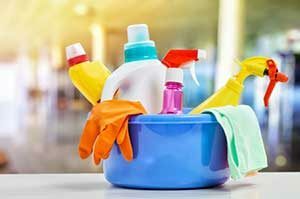 We all prefer to keep the house orderly and clean, but you may be unaware that some of the common cleaning products used around the home are actually detrimental to our health. Surface sprays, bleach, sink unblockers, and even dish-washing soap all contain chemicals that have been deemed unsafe in large quantities. There are even some sink unblockers that contain sulfuric acid. Fortunately, there are a range of organic or toxic-free cleaning substances available to use in the home. For example, basic household items that you may already have in the cabinet can be used for cleaning. Salt, white vinegar, lemon juice, and baking soda can all transform into powerful and natural cleaning agents. White vinegar might have a strong smell, but it’s not releasing carcinogenic or radioactive substances into the air! If you’ve ever painted an enclosed room, you’ve no doubt noticed how strong the fumes are. The chemicals in paint are very strong, so you should always keep a freshly-painted room well ventilated and try not to use it for a couple of days. Moreover, any extremely old paint should not be kept for retouches because some old paint contains lead. Dispose of any rusty paint cans immediately to avoid air contamination. There are many signs of poor air quality in the home, including problems with breathing, hot and cold spots in rooms, the appearance of mold, odors, dust, and humidity. 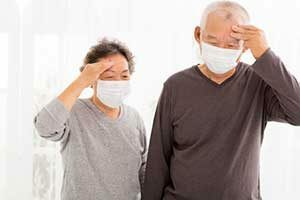 If you notice any of these signs it’s time to update the ventilation system so that you can prevent your family from potentially becoming ill. It is evident that good air quality is key to maintaining good health for you and your family. Now that you’ve considered some factors that determine indoor air quality, it’s recommended that you consider how to improve your indoor environment by consulting an HVAC professional. HVAC specialists can help you eradicate the air pollution in your home by providing you with the skill and expertise required to install and maintain an effective HVAC system. Sometimes we don’t think about the air we breathe, and assume that air pollution is only a problem in smog-filled cities. In reality our homes are just as vulnerable to harmful chemicals that are released into the air, and as responsible parents and homeowners it’s our responsibility that the air quality is kept in check.